Therapist Elizabeth Heaney left her private practice to participate in a Defense Department initiative that offers free, confidential counseling to combat veterans and their families. Despite more than 30 years of counseling experience, she realized that her military clients were unlike any patients she’d met before. She learned to let go of preconceived notions of the military and to adopt new ways to forge relationships with her tight-lipped clients. Gradually the stories of war, loss and re-adjustment to civilian life came tumbling out. Host Frank Stasio speaks with therapist and author Elizabeth Heaney about the deep perspective on veterans and military life she developed while working as a counselor to military service members and their families. 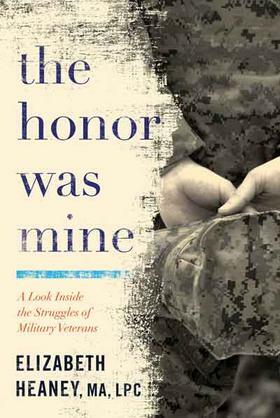 She reads from her new book, “The Honor Was Mine: A Look Inside the Struggles of Military Veterans” (Grand Harbor Press, 2016) at Malaprop’s bookstore in Asheville on Thursday, September 8th at 7p.m.